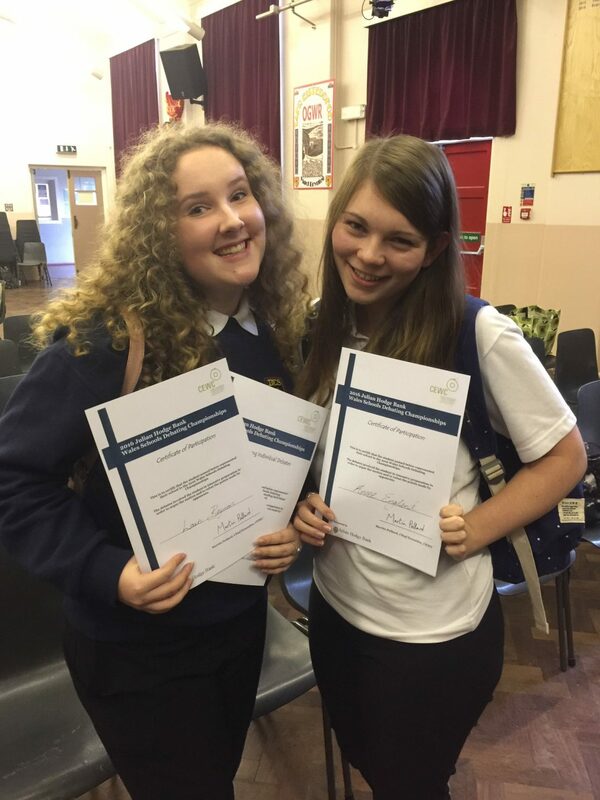 Yesterday the debate team competed in the regional round of the Wales Schools Debate Competition. Preparation for the debate was real teamwork, with Aimee England, Lowri Beynon, Ffion Beynon and Rachel Penney working together to propose the motion “This house would only imprison criminals who pose a continuing threat to society”. Aimee and Lowri debated on the day, and held their own against older and more experienced debaters. Whilst they weren’t the winners, they both debated fantastically well, with Lowri being awarded an Outstanding Individual Debater certificate. All four were a credit to Dwr y Felin. I am sure you will join me in congratulating the girls if you see them. Many thanks to all staff who have supported the girls in their preparation for the debate.